← An encounter with Jesus: What Does it Mean to Be Created in God’s Image? Home » Insights & Inspirations » The Symbol Story of the Human Soul! The Symbol Story of the Human Soul! No story in literature teaches us more about what God is—and what God is not—than Cain and Abel. Two brothers make offerings to the Lord: God accepts Abel’s and rejects Cain’s! Why? Jewish tradition has been uncomfortable with the idea that the Eternal One would act capriciously, so the consensus of Midrashic thought is that Cain brought an ordinary offering or, perhaps, an insultingly inferior one. Abel, on the other hand, brought the best offering he could. But I do not think that this is what the text is saying! The crucial verse (as I translate it) reads, “In the course of time, Cain brought an offering to the Lord from the fruit of the soil, and Abel also brought the choicest of the firstlings of his flock” (Genesis 4:3). In other words, each one brought the best he could. Furthermore, the initiative to make an offering in the first place came from Cain, not Abel. But if we read the text that way, we grapple with a difficult question: Why does God reject Cain’s offering? It does not seem fair. And isn’t God all about fairness? The answer is simple: We do not know. God is a mystery, and life is not always fair. God does not answer to us; we answer to God. We lose sight of this at our peril. 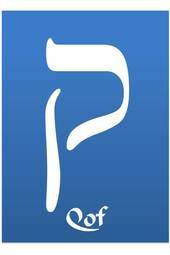 Moreover, the Torah does not always tell us the way things should be; sometimes it underscores the way things are. In daily life, we all make offerings—even our very best offerings—that those in a position of power reject as God rejected Cain’s. Did you ever study for days for a test in school and got a poorer grad than someone who did not study nearly so hard and got an A? Did you ever practice and practice and practice to make a team and wind up on the far end of the bench while someone who did not practice nearly as long or as hard as you became a starter or even a star? Have you ever applied to a college or university and got a thin envelope with a letter thanking you for your interest but saying that due to the high number of qualified applicants, the school is unable to accept you? Have you ever primed yourself for a certain job or a promotion that went to someone who you knew in your heart was less qualified than you were? Have you ever offered your love to one who did not feel the same about you? Yes, we all have been in Cain’s shoes each time we have felt the sting—and the accompanying anger and jealousy—of rejection. To try our best and to keep trying is the ultimate measure of success! In the end, doing our best is a more important measure than a teacher’s grade, a coach’s evaluation, a college’s decision to accept or reject an application, or a new job or promotion. If we give every situation our best effort, we learn and grow from our mistakes, and then we have achieved true success. It is one of life’s most important lessons, and one of the most difficult to learn. Nevertheless, even after this one-on-one conversation, even after God makes clear what would happen unless he bridled his anger and jealousy, Cain killed his brother! This teaches us the concept of free will. Indeed, life would be meaningless if we were only puppets with God as the puppeteer. In short, the story of Cain and Abel teaches us what God is and what God is not better than any story ever written. God is the voice of our conscience urging us to do what is just and right, what is productive and positive. But—and this “but” is huge— God does not force us to do anything. So since Cain was determined to ignore God’s voice and kill Abel, God did not prevent him from doing so. How profound a point is that? The fourth chapter of the first book of the Torah instructs us not to expect God to stop holocausts or any other act of evil. God exhorts Cain and us not to make rash and foolish decisions, but God does not stop us from making them. And in the voice of a petulant child, Cain answers, “I don’t know. Am I my brother’s keeper?” (Genesis 4:9). God’s answer rings out across the millennia: “Of course you are!” That is the whole point. If God’s goal in creating the world is for human beings to create a just, caring, and compassionate society, then the only way to achieve that goal is if we assume responsibility to be our brother’s or our sister’s keeper. We all deal with rejection many times in our lives. The toughest and most important question we face is how do we handle it? 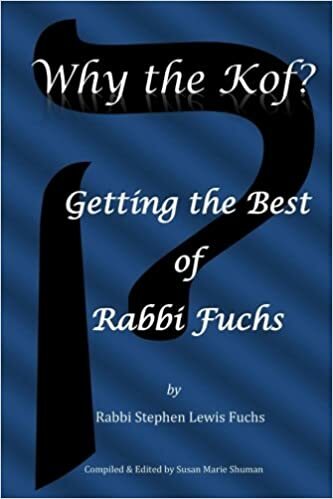 Rabbi Fuchs’ first book, What’s in It for Me? Finding Ourselves in Biblical Narratives has been translated into German and Russian. His second book, ToraHighlights has just been published with English and German in the same volume as a gesture of reconciliation between Progressive Judaism and the German people.